Melvyn Poll was a well-informed music lover and performer. 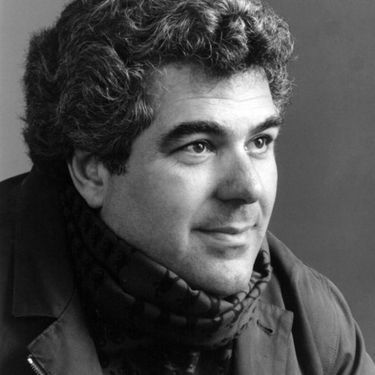 Tenor Melvyn Poll, whose opera career took him to stages in Europe, Israel, New York and Seattle, and who coached young singers hoping to make it big, died Thursday. He also sang the national anthem at UW Husky football games. “The land of the free and the home of the brave” always got an extra-thrilling high note at University of Washington football games when tenor Melvyn Poll sang the national anthem. Singer, lawyer, opera advocate, teacher, Husky football booster, family man and bona fide music lover, Mr. Poll died in Seattle on Thursday of complications following cancer treatment. He was 75. An ardent fan of the UW, where he studied music and also earned a law degree, he was a well-informed music lover of strong opinions — especially about singers. Always inspired by a potentially great voice, Mr. Poll served as regional chair for the Metropolitan National Council Auditions and assisted promising young singers with coaching, advice and instruction. “I want to do anything I can to foster opera and the love and quality of it,” he told The Seattle Times in 2012. Mr. Poll also taught voice as an adjunct professor for a year at the University of Washington School of Music. And he had a lot to teach. After several years of experience abroad as a young opera singer in Germany and Israel, Mr. Poll returned to the United States and sang with several opera companies and orchestras, including four years at the New York City Opera (1974-78) and at Seattle Opera (where he made his debut in 1977 as Pinkerton in “Madame Butterfly”). On several occasions he was the featured soloist in Seattle Symphony programs; he also sang in the Music of Remembrance concert series. Among his recordings is a disc of songs by Paolo Tosti. A witty raconteur and a stalwart of the Jewish faith, Mr. Poll is survived by his wife, Rosalind Benaroya Poll; two children, Sydney Poll Calvo (son-in-law Shaya Calvo), and Ryan Poll (daughter-in-law Lisa Poll); and three grandchildren, Sally Calvo and Sasha and Eli Poll, all of Seattle. A memorial event is planned for 1 p.m. Sunday, Jan. 15, in the Nordstrom Recital Hall at Benaroya Hall. Donations in his memory may be made to the Seattle Symphony Orchestra or to a charity of the donor’s choice.